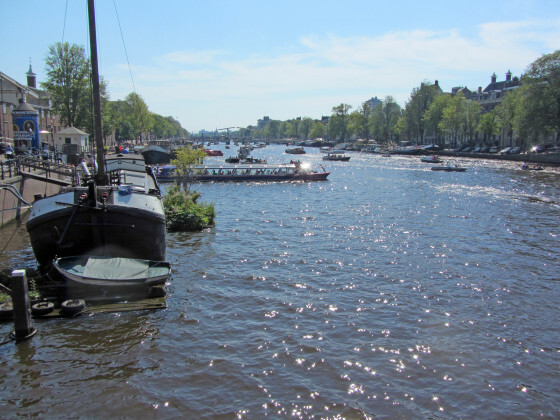 The busy Amstel River in Amsterdam. 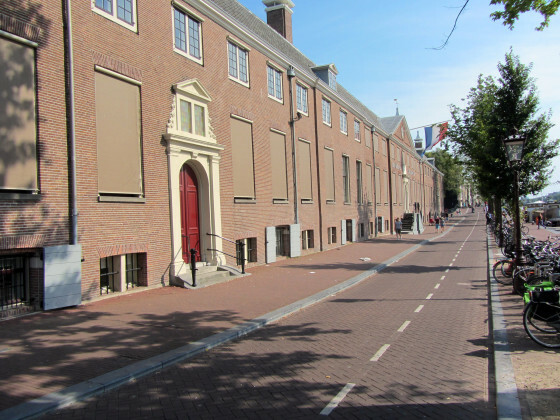 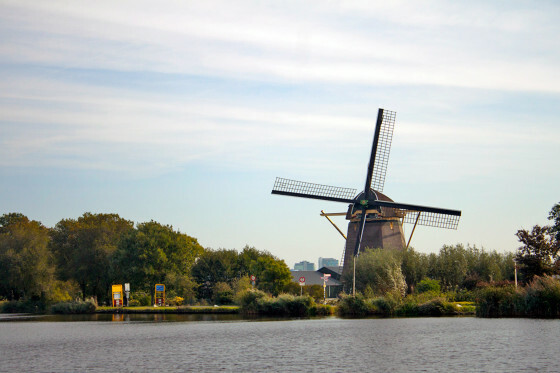 The bike path along the Amstel passes the Hermitage Museum in Amsterdam. 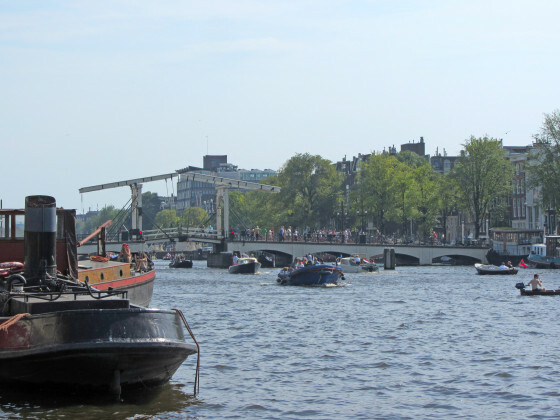 A bridge along the busy Amstel River in Amsterdam, NL.